A girl aged 17 years, medium in complexion, medium built presented warts on both hands was cured within a period of three months. 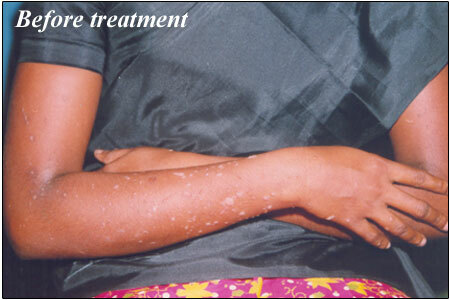 The girl developed itching initially and gradually eruptions followed to aggregate scattered warts on both hands simultaneously. Initially tried external applications with native medicines and her family doctor advised cauterisation. One among the neighbour advised to take homoeopathy treatment who had the previous experience with similar ailment .The warts are brownish white, irregular edges and flattened. Dandruff is white and scaly. Itching < sun exposure; after sweat. Aunt is suffering from Uterine fibroid, Hysterectomy performed later. Dandruff is white and scaly. Itching < sun exposure; after sweat. 4. Diagnosis of miasm and susceptibility. Pl pills / 15 days.